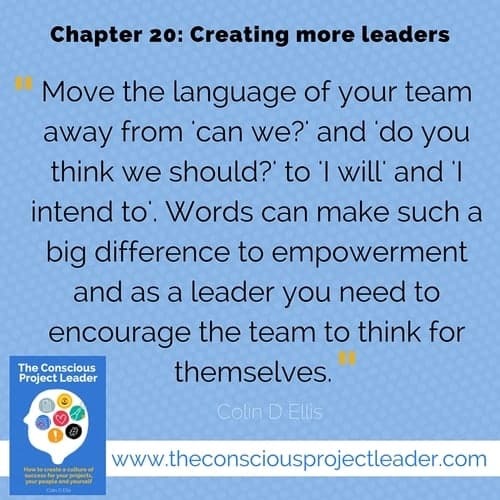 I have been a bit lax with project management reading recently but one book that I have made time for is The Conscious Project Leader: How to Create a Culture of Success for Your Projects, Your Team and Yourself. I was lucky enough to find Colin D Ellis through talking to Ellen Maynes. It didn’t take much browsing on his website to realise that it was going to be my kind of book. Ellis writes eloquently and with humour, and it was a pleasure to read, even while I was stuck on a train with a headache. What is a Conscious Project Leader? 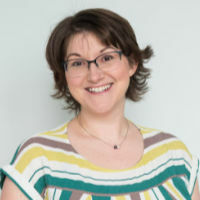 “I’d argue that there are only two reasons for project failure: poor project management and poor project sponsorship,” Ellis writes. The book is light on methods and tools and heavy on stakeholder engagement, authentic leadership and emotional maturity. 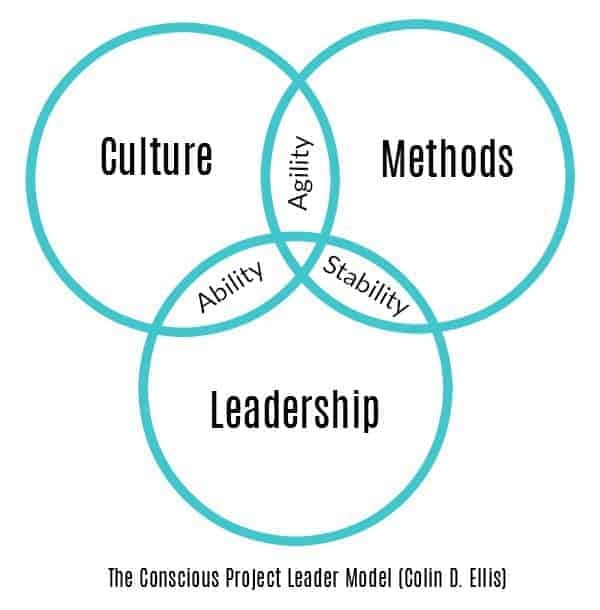 Where these characteristics overlap you get agility, ability and stability, which is summed up in the diagram below: his Conscious Project Leader model. The book is made up of 52 chapters so that you can read and work on those skills them over time. Either dip in and pick something for this week, or work through it over a year. Or 52 days, if you are feeling ambitious. Each short chapter ends with a ‘next steps’ box, but it’s set out in a very user-friendly way. He includes suggestions that you can Do, Read and Watch, but also includes pre-written social messages that you can share with your networks including the hashtag #CPL. I think that would help keep you accountable, and research shows that you learn better if you do something with what you have read. The book covers what I think is important about project management: leadership and culture. There’s loads of tips for working with other people on your projects, hiring for cultural fit, creating vision, having those difficult conversations and more. Ellis’ book isn’t going to teach you how to estimate or manage risk – although there are chapters on that. 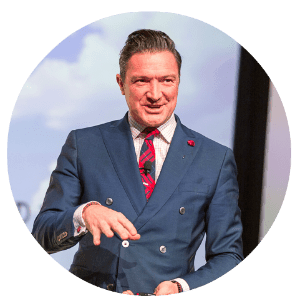 You get a taste of the methods, and the meat of the book is stakeholder engagement and developing your personal style to be more effective. The Conscious Project Leader is nicely written, nicely laid out, and I really liked the tone and style. Especially the pictures. More management books would have illustrations, if it was up to me. It’s personable and effective without being preachy, which is what might have happened in a book where one of the chapters is about mindfulness. It’s also a pleasant change for me to read something by a British author, albeit one who now lives in Australia. I get the references to Python, The Voice, football, Morecambe and Wise. There are no baseball analogies, and I’m grateful for that. A great choice for project managers wanting to up their game. See all my project management book reviews here. Filed Under: Books, Stakeholders Tagged With: leadership, This article contains affiliate links. It sounds really good! I’m always looking for new reading material, but so far have stuck with professional development/ leadership books because project management ones tend to be dry as the baseball metaphors. Thanks Shannon and I totally agree! That’s why I wrote the book with all projects and project managers in mind because not everyone is managing a multi-million dollar digital transformation!